HK Timbers, of Gainsborough, has installed a new Timbermark inkjet marking system for vegetable box boards. The equipment comprises a 70mm high resolution print head and handling system. The rationale for the investment was two-fold – to improve marking quality and to improve productivity. The sharp high resolution print quality enhances product presentation, and allows HK to promote their brand and logo in their market. The productivity improvement is from the quick origination for creating new designs, and the elimination of a production process. Unlike the previous printing process the inkjet is non-contact and so works well on unplaned material. “We are very pleased with the new system. It gives us the benefits of better quality, and lower operating costs. 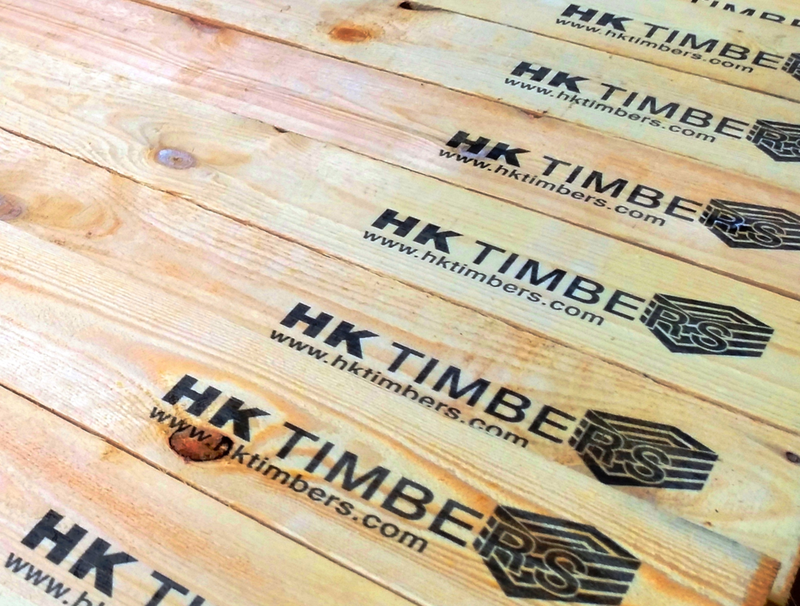 Timbermark have provided excellent service support during the installation and commissioning period, and been keen to ensure that everything went smoothly,” said David O’Neill, HK Timbers’ Managing Director.